Mississippi County Judge Slaps Mentally Challenged Male, Yells "Run N---ER, Run"
CANTON – In an echo of Mississippi's past, a Justice Court judge here is accused of striking a mentally challenged young man and yelling, "Run, n-----, run." The family has filed a complaint with police against Madison County Justice Court Judge Bill Weisenberger, who is white, alleging he struck their 20-year-old African-American son, Eric Rivers, on May 8 at the Canton Flea Market. "This is 2014," said former Canton Mayor William Truly, president of the Canton branch of the NAACP, "not 1960, where someone could slap a young man and call out, 'Run, n-----, run." Darlene Ballard, executive director of the state Judicial Commission, said if the allegations are true, they would "violate multiple canons" of the Judicial Code of Conduct. 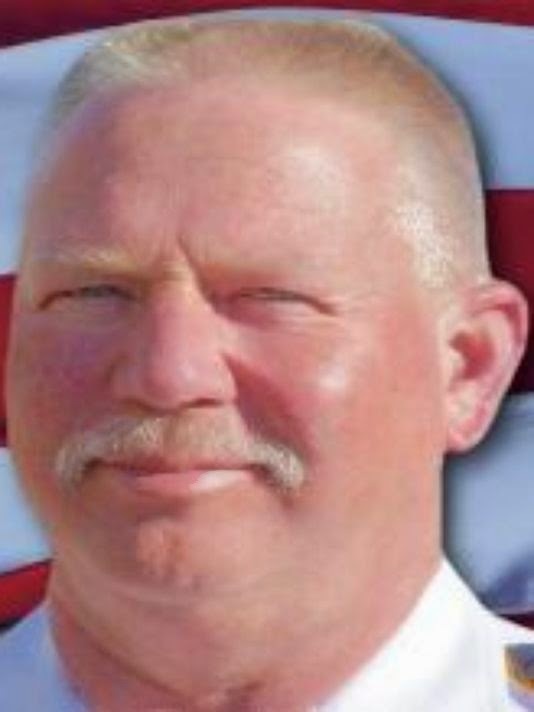 Truly called on Weisenberger, a former law enforcement officer and former emergency operations director in Madison County, to step down from hearing cases until the matter is resolved — or simply to resign. "No citizen should have to face justice before a judge who holds such a high degree of racial animus and hatred," Truly said in a news conference Friday. Weisenberger did not return telephone calls asking for a response to the allegations. Truly expects a Madison County grand jury to eventually hear the matter. He said the NAACP plans to file complaints with the Judicial Performance Commission, the state attorney general's Vulnerable Adult Unit and the Justice Department. Cathy Hendrix of Tuscaloosa, a vendor at the Canton Flea Market, told The Clarion-Ledger that she and other vendors rely on local people to help load and unload their vehicles, paying for the help. On May 8, she saw Rivers standing on the sidewalk, asking if they needed help, she said. "That young man was wanting to work to earn money to buy a bike." Her sister, Tammy Westbrook, also of Tuscaloosa, told The Clarion-Ledger she saw Weisenberger "rear back and slap" Rivers twice. The young man bolted away, and she said she heard Weisenberger yell out, "Run, boy, run," and "run, n-----, run." She said she overheard Weisenberger brag afterward about what he had done. She felt furor because her own son suffers from autism, she said. "I was angry." Both sisters initially thought Weisenberger was a law enforcement officer because he was dressed in a security officer's uniform — only to find out he was a judge. Hendrix praised the help she received from "many wonderful deputies during our visit to Canton" but was angered by what she witnessed, she said. "I do not care if this young man was being a nuisance," said Hendrix, who is white. "I do not care if he were breaking a law, I do not care if he were loitering, but I do care that a man of authority, one that is sworn to protect and serve, was slapping a young man." She said Weisenberger "seemed to be suffering from an authoritative complex and was making sure that everyone knew that." Hendrix said after Weisenberger's encounter with Rivers, she saw the judge "jump" a female vendor, "telling her he would make her park far away and make her walk to load her goods." When the woman replied that he could "change his tone" with her, the judge replied he would only deal with her husband because he didn't take orders from a woman, she said. She said the judge has no business working with the public "if he is going to slap a mentally challenged child and be rude to vendors that are paying good money to be there." On his campaign website, the judge declared that he believes "Justice Court IS the people's court." Under Mississippi law, the only requirement to be elected a Justice Court judge is a high school diploma. After taking office, the judges are required to take up to six hours of training a year. A 2007 legislative task force concluded that Justice Court judges needed higher degrees, preferably law degrees. Former state Justice Jimmie Robertson said more Mississippians come into contact with the legal system through Justice Court than any other avenue. "Given that," he said, "it's very important that Justice Court judges behave as judges and act with discretion and not engage in activities that would reflect poorly on the system." There are a lot of shocking things about this article, but the fact that you only have to have a high school diploma to be a Justice Court judge has to be the most shocking of all. REALLY! Someone from Mississippi needs to explain this to me. What the hell is a Justice Court, if only a high school diploma is required? Absolutely RIDICULOUS!! There is a lot I can say but I'm trying not to get worked up first thing this morning.